Why Can't I Just use a Spreadsheet? 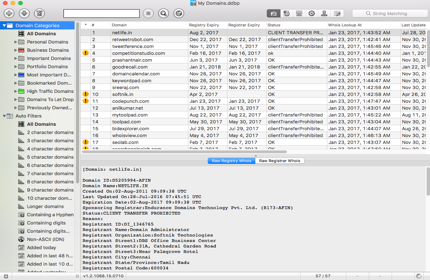 Registrar API support: Import domain names and retrieve data directly from select registrars like GoDaddy, Namecheap and Dynadot. Windows versions support email alerts on non-periodic events. For example, send an alert if the website for a domain fails to respond. 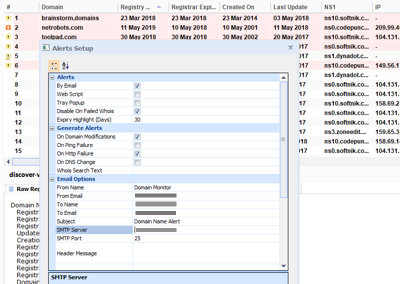 The server edition supports daily / weekly / monthly email alerts in addition to on-screen monitoring. 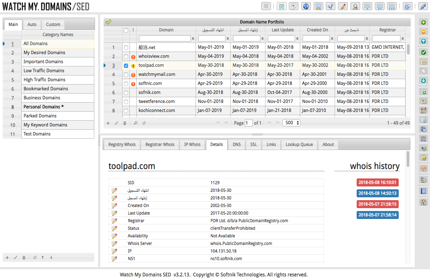 View your domains within an on-screen calendar. 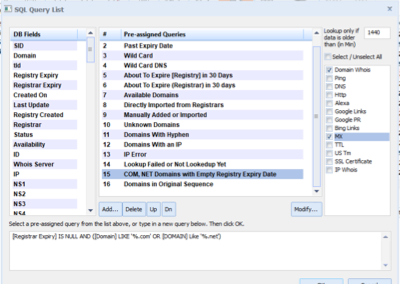 Calendar View in Watch My Domains ISP displays the domains in a calendar on the corresponding expiry dates. 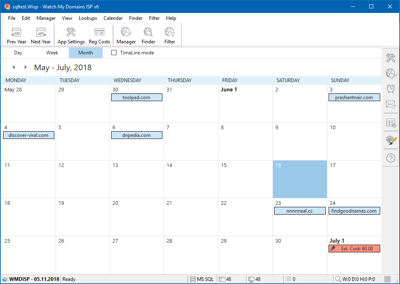 You can even configure the calendar to display the monthly registration costs by specifying the pricing for each TLD or ccTLD at different registrars. Choose between flat, MS Jet (Access), MS SQL, SQLite (on Mac) or MySQL database for data storage. You can use advanced search queries to control display and lookup of domain names in products that use a database for data storage. 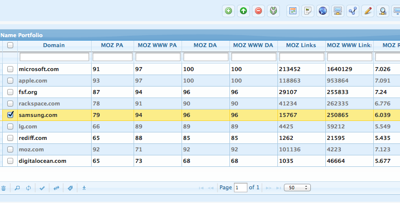 You can create your own additional fields in the database and then view the data in the main interface table. Both Watch My Domains ISP (Windows) and Watch My Domains SED (server) support any number of custom data columns. 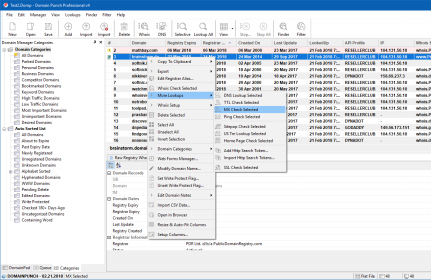 Watch My Domains Pro is an Entry Level Windows software for managing less than 5000 domains per project. Import, Filter, Clean and Process Large Domain (Drop) Lists, Split Domain Names into keywords, Sort Domain Names Based on Word Counts and More. How many Com or Net domains were added to the zone yesterday? Which domains were deleted from the zone? Interactive tools from our associates that are updated daily. Manage your domain names using a range of domain portfolio management software products, available for desktops & web servers. Watch My Domains SED includes a script for integrating the various Estibot data (Appraised Value, Category, Average CPC, etc) into the domain data table. Watch My Domains SED also supports integrating data from MOZ (Appraised Value, Category, Average CPC, etc) into the domain data table. 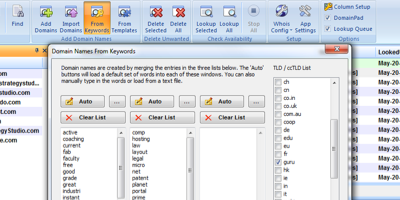 Explains methods of generating domain names from keywords and character templates. As an example, want a list of all possible 9 character .link domains that end with the word expert? The article also provides a simple method for manually creating pronounceable words (for use as new branded domain names).